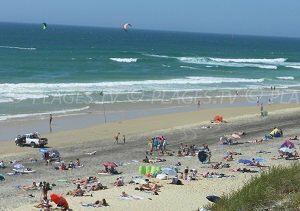 You will find 6 beaches in Biscarrosse :6 sandy beaches. 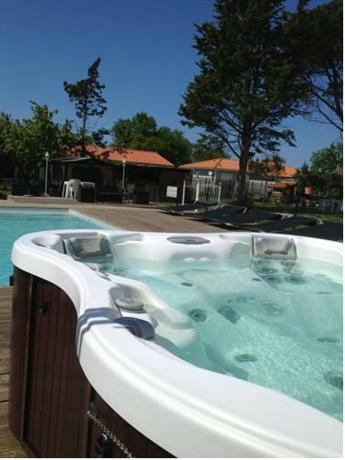 Biscarrosse is located in the north of Landes in France and to the southwest of Bordeaux (70 kilometers) and is one of the most important seaside destinations in Landes. 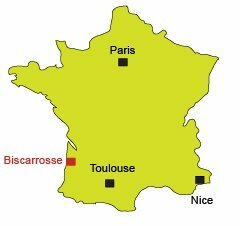 The city is divided into three parts: Biscarrosse Plage which is the heart of this destination with long sand beaches, Biscarrosse Lac with its immense Lac Nord (North Lake) where we can spend time on the beaches with calm waters, and Biscarrosse-Ville located inland. 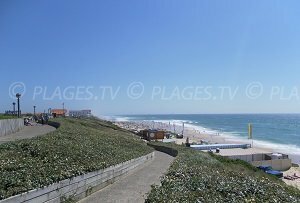 In the summer, the most animated part is Biscarrosse-Plage (but it's totally deserted outside of summer). 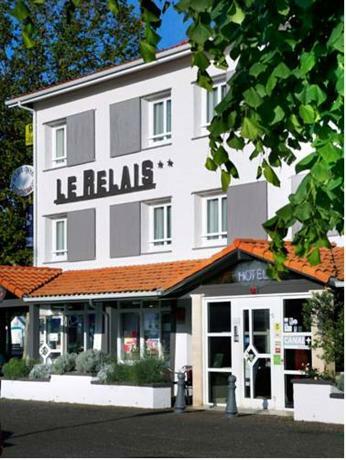 It is the rendezvous of surfers with the biggest waves on the Landes coast. 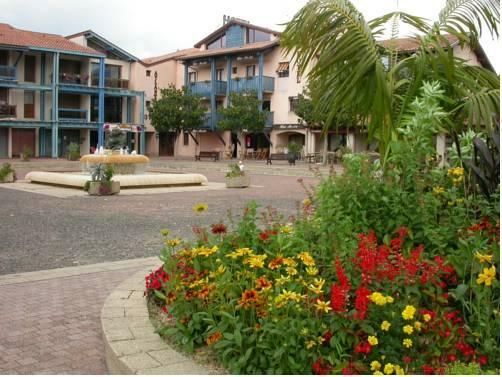 In the evening, people regroup on the main road where we find restaurants and cafes and boutiques. 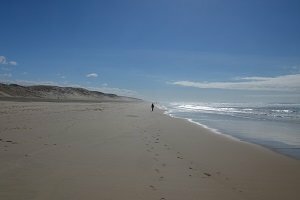 Biscarrosse is a 15 kilometer long beach bordering a magnificent forest where we can walk or cycle for over 100 kilometers of bike lanes. 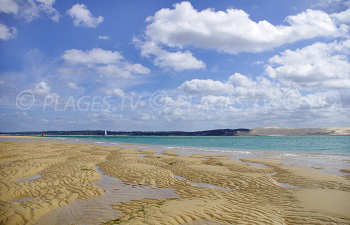 The green dune offers a very nice panorama of this immense sand beach. 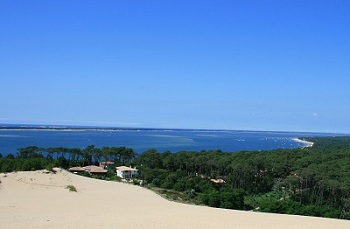 The lakes of Biscarrosse propose an alternative to the different seafront beaches. 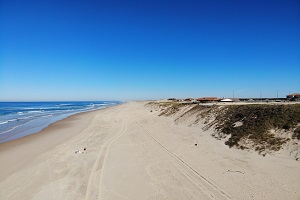 We can swim here in the tranquility (no waves and the water is warmer than in the ocean) or practice a number of water sports around the Maguide harbor. We also find several cafes and restaurants here. 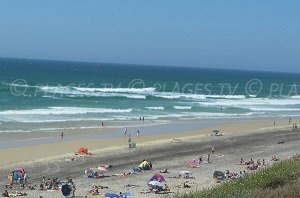 Note that dogs are tolerated on the different ocean beaches of Biscarrosse (it is advised to avoid Centrale Beach due to its being so busy). 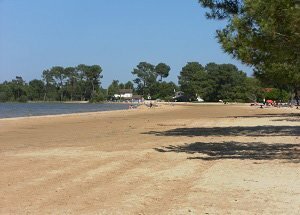 However, dogs are not allowed on the sand beaches of the lake Biscarrosse but are authorized on the paths and trails. 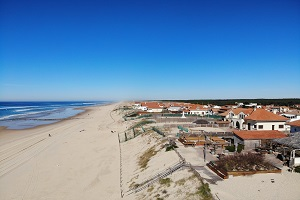 Coming to Biscarrosse allows the occasion to go to the beaches of Arachon to discover its famous pond and the dune de Pyla where we find a beach at its foot. 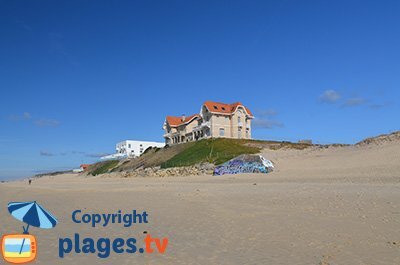 To the south, we find the beaches of Mimizan or Vieux Boucau.